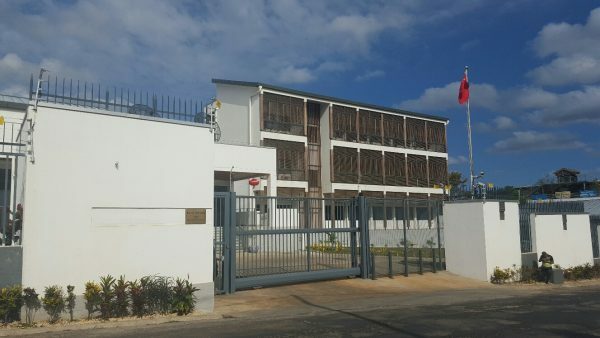 In an extended interview with Subtropic, at his Foreign Ministry office, Ralph Regenvanu took stock of incidents upsetting the Australian government, and many Australians, like the story of China wanting a naval base in Vanuatu, which his government has denied. Not only that, but Australia compares to disadvantage on some main points in dealing with the neighbouring Pacific Islands republic, 2 200 kilometres to the East. “China is a great partner, I think far more respectful of us as government to government diplomatic representatives than Australia. They don’t presume like Australia. They can be just as forceful, but Australia has got the gold medal for that one…”, he said. The Minister gives his main objective in foreign affairs as answering his country’s need for economic development, which accounts for his emphasis on economic assistance and investment. 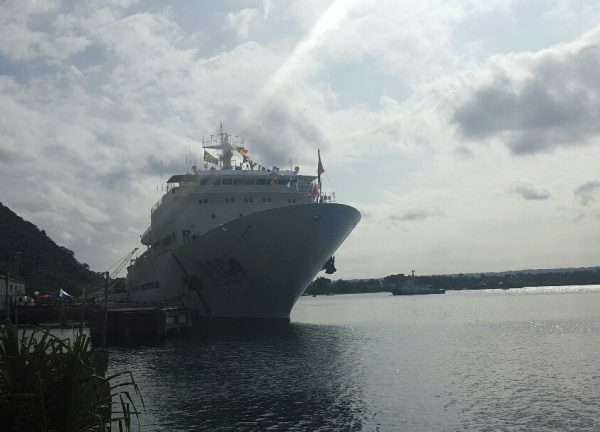 As Ralph Regenvanu was speaking, the Prime Minister, Charlot Salwei, was down at the Port Vila harbour, on board the visiting Chinese hospital ship, Ark Peace, on its current goodwill mission. He likewise appeared oblivious to concerns about Australia getting displaced in the South Pacific, pledging diplomatic support for some key Chinese priorities. “Vanuatu wishes to reaffirm its stand for the One China policy”, he told local reporters. 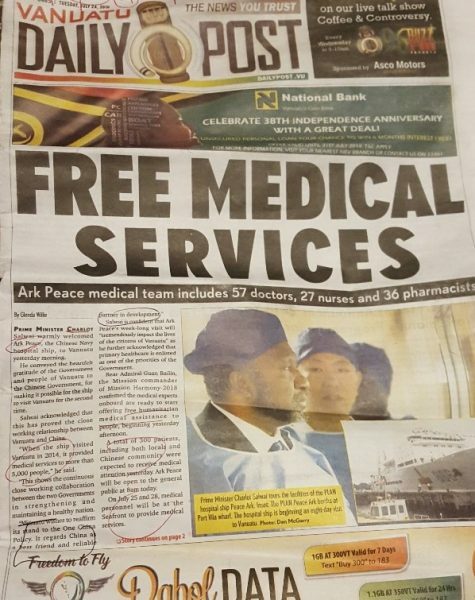 The Ark Peace carrying 57 doctors and over 80 other medical staff is providing free medical treatment to 500 people – one tenth of the small capital city population. It is part of a Chinese naval project delivering humanitarian support in 37 countries, a contributor to China’s “soft diplomacy”, establishing friendship and credibility. As practical aid, one hard-pressed surgeon who’d been working with a Chinese medical team based on the ground in Vanuatu, said the project was saving lives. “I was able to talk to them about a priority patient, who was brought from one of the other islands and given a CT scan on the ship, free of charge. This treatment would cost thousands of dollars in the United States or Australia”, he said. 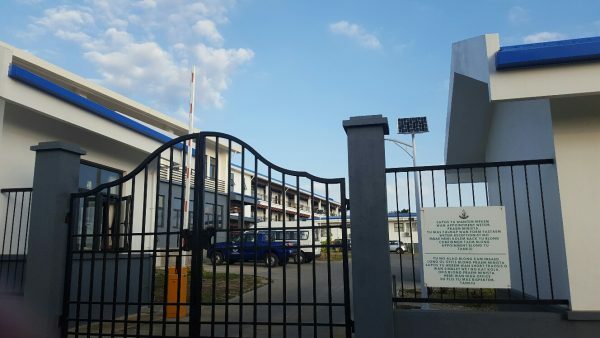 plus a headquarters building for the regional agency the Melanesian Spearhead Group (MSG), port facilities for the island of Espiritu Santo. 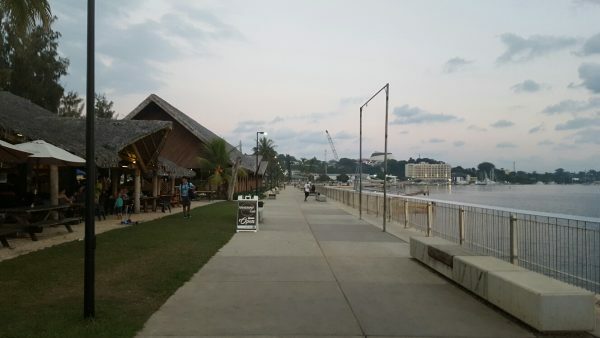 Not being out-done, Australia has done a popular rebuild of the portside walkway in Port Vila. 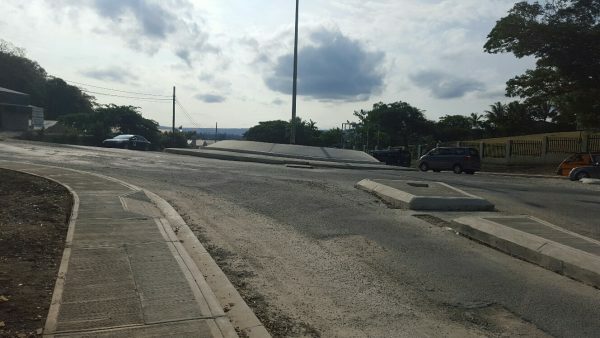 Another project, through the Asian Development Bank, has been modernising roadworks and drainage in the inner-city area – a slow project holding up traffic but strategic for the future. 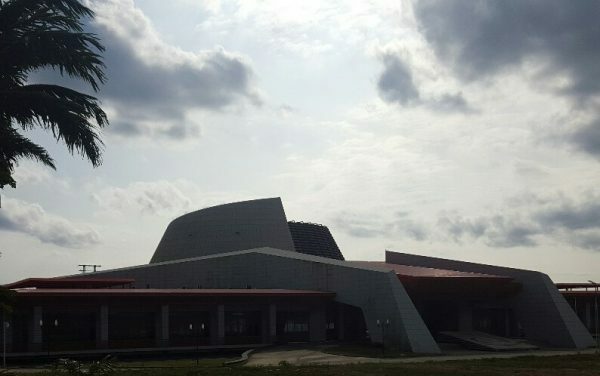 There are criticisms: the convention centre looks like being too costly to run; the new port meets specifications for Chinese warships but not large cruise ships now said to be getting diverted somewhere else. 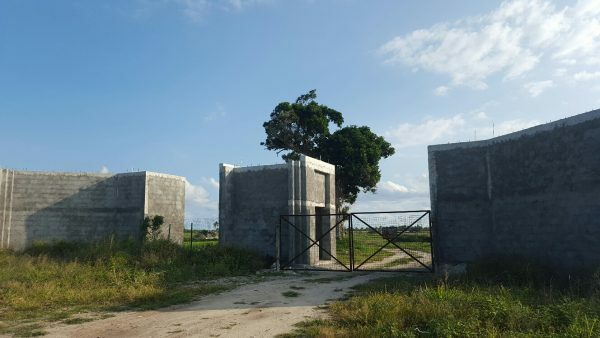 Less appealing still to patriotic Ni-Vanuatu, citizens, is a gated waterside estate being built by Chinese investors for Chinese clients on a large slice of a former 990-hectare coconut plantation. It’s expected to include houses and units, hotels, a casino and clubs, for residents and and for travellers from Beijing. 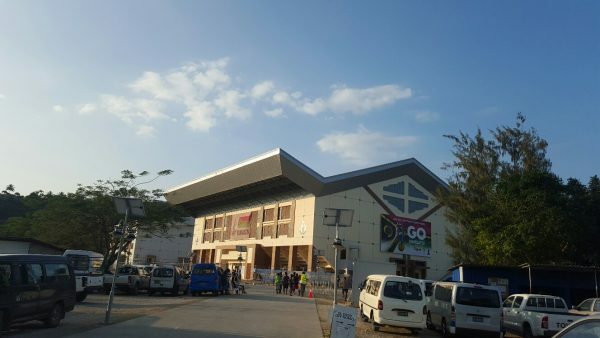 Its construction is currently held up, only because the Vanuatu government says it is legally bound to refuse permission for a stand-alone Chinese power station on the site. 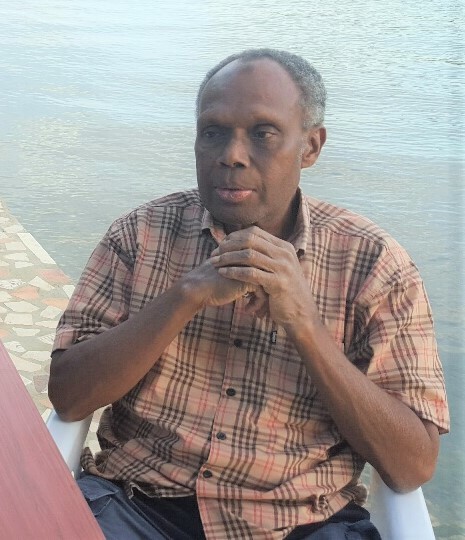 Another perspective on the “China question” comes from an elder figure in Vanuatu, Selwyn Leodoro, a relative of the founding Prime Minister, Father Walter Lini, and currently the Secretary of the country’s influential Anglican Church. 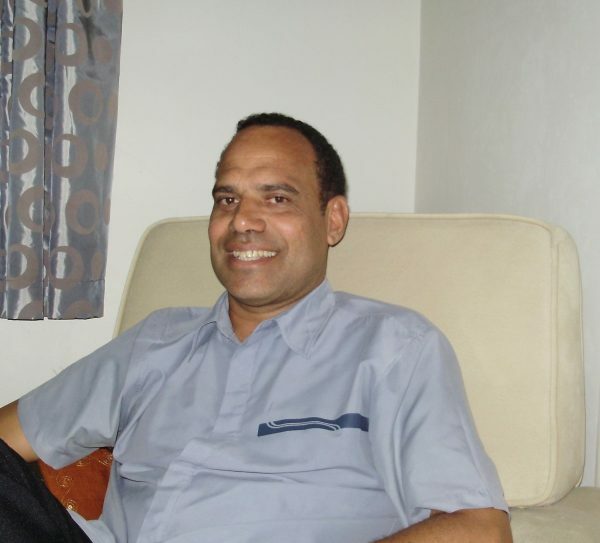 Mr Leodoro said this week close relations between Vanuatu and China were no new thing. 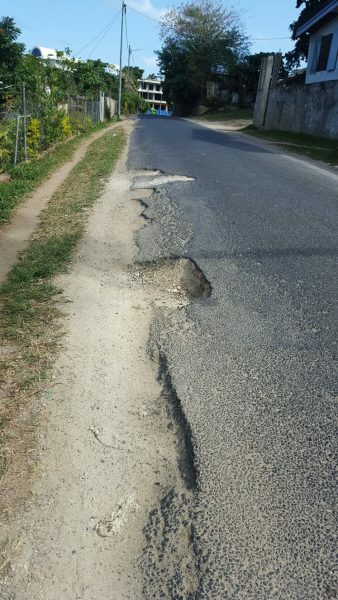 “We want and need the development”, he said. “Somebody comes, and then comes with how to do it, and we are then not so sure — but we still want it. “Maybe the Chinese have a fifty-year plan but it is uncertain. More pressure, and trouble, can be expected. 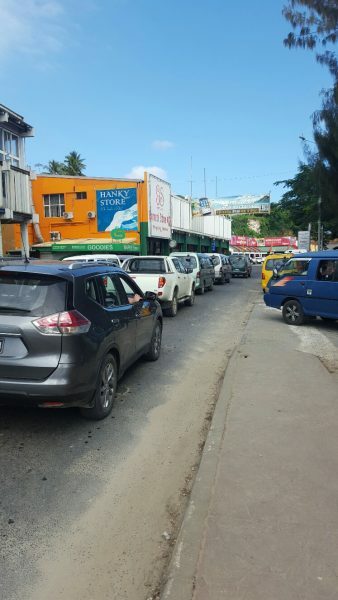 In the pipeline: projections by the Vanuatu Post newspaper indicate that the sale of Vanuatu passports through agents is on track to build up well beyond expectations this year, to nearly A$93.5-million – pushing towards one-quarter of national revenue. The passports which carry visa-free entry into the European Union and then clearance to roam around inside its territory, are reputedly selling for A$155 000 or more – with main takers being in China. The EU might have something to say on that; it is in the meantime material for a potential scandal.